As an alumnus of The London School of Economics, you are one of a very select few. You benefit from a top-tier, international education for which a comparatively small number of seats are offered each year. That fact alone speaks volumes on your behalf. But, as an alumnus of The LSE, you also bear another distinction… a sense of purpose and a drive toward engagement that transcended your education, shaped your worldview, and alters society. This is indeed an exceptional community to which you belong. 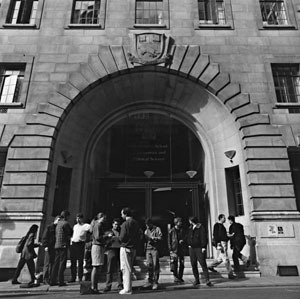 A paid membership with AFLSE demonstrates your continuing connection to The LSE. And, it grants you access to a growing catalogue of member resources from discounts on journals and financial services to access to social clubs and professional networks. As if those weren’t reasons enough, AFLSE is a non-profit 501(c)(3) organization to which dues and contributions are tax deductible to the extent of the law in the year in which they are paid. AFLSE may be eligible for matching gifts from your employer, please check with your human resources department. Have you already registered with AFLSE? If so, please click here to login to your account using your regular email before selecting a membership category. Description: Regular membership in the AFLSE for 12 months. Description: Regular membership in the AFLSE for 36 months. Description: New Life memberships in the AFLSE are no longer available. Description: Installment payments of $130 per year for five years to achieve Full Life Membership - although the Life Membership option is no longer offered to new members, people who have selected this membership level in the past may continue with their payments. Description: Open to any full time students (at LSE or elsewhere) subject to joining on-line. Please include student info in contact info. Description: Available to new LSE graduates for first five years after LSE graduation.